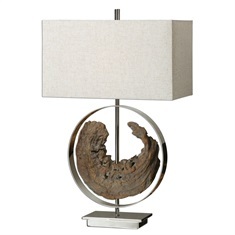 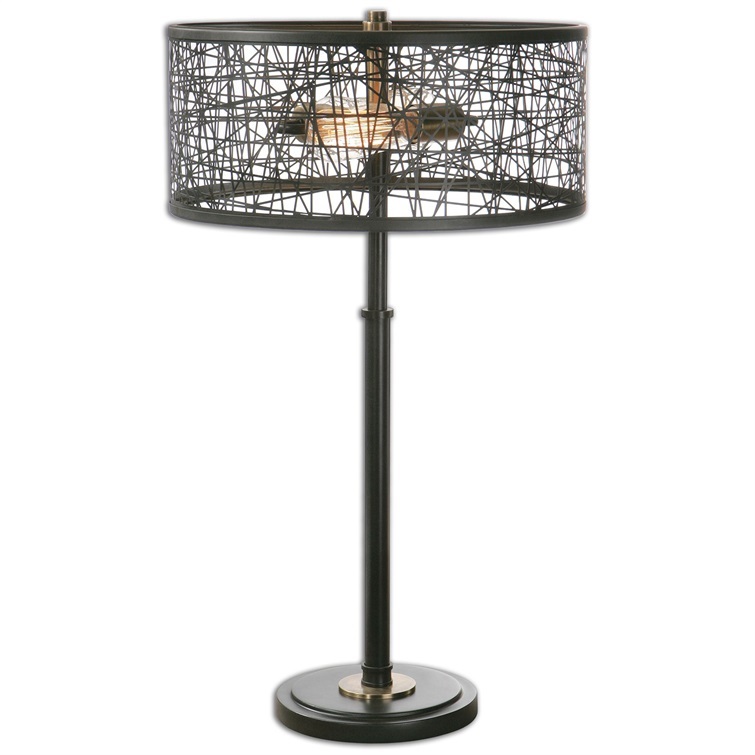 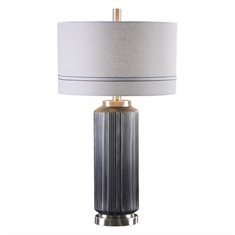 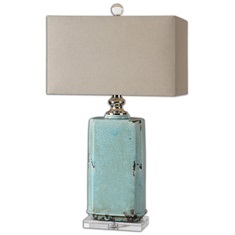 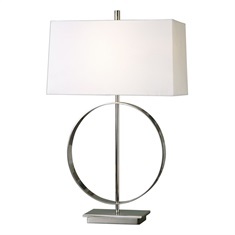 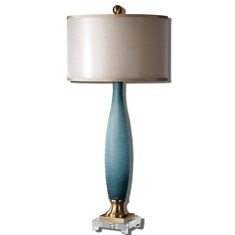 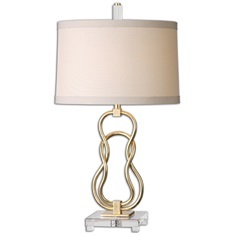 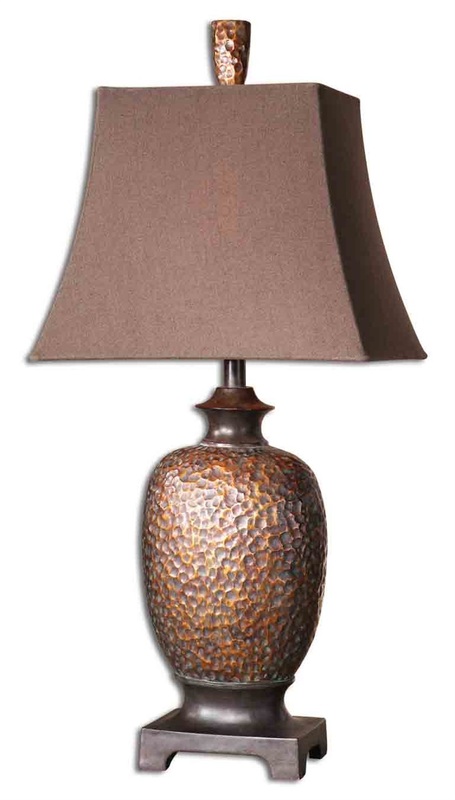 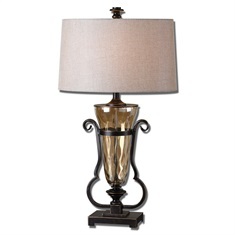 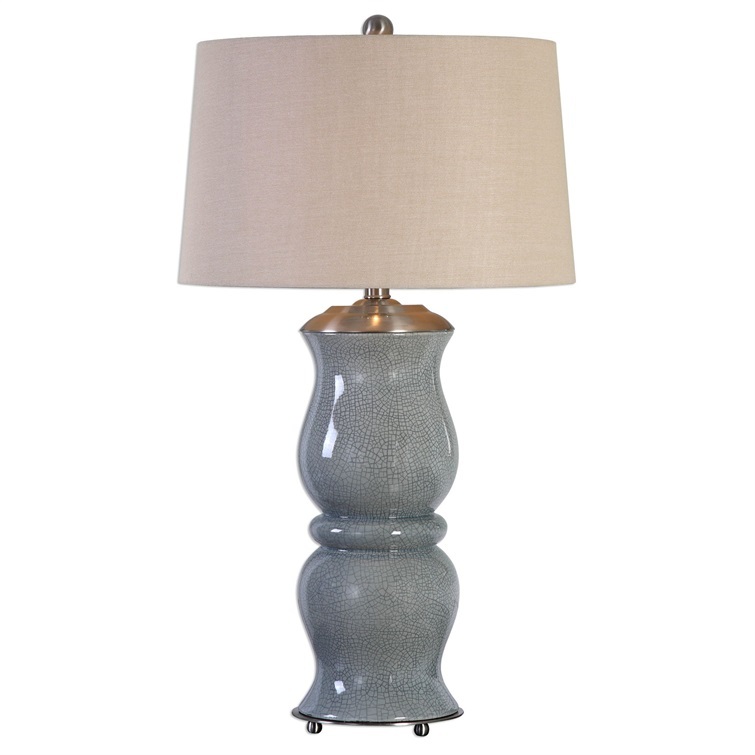 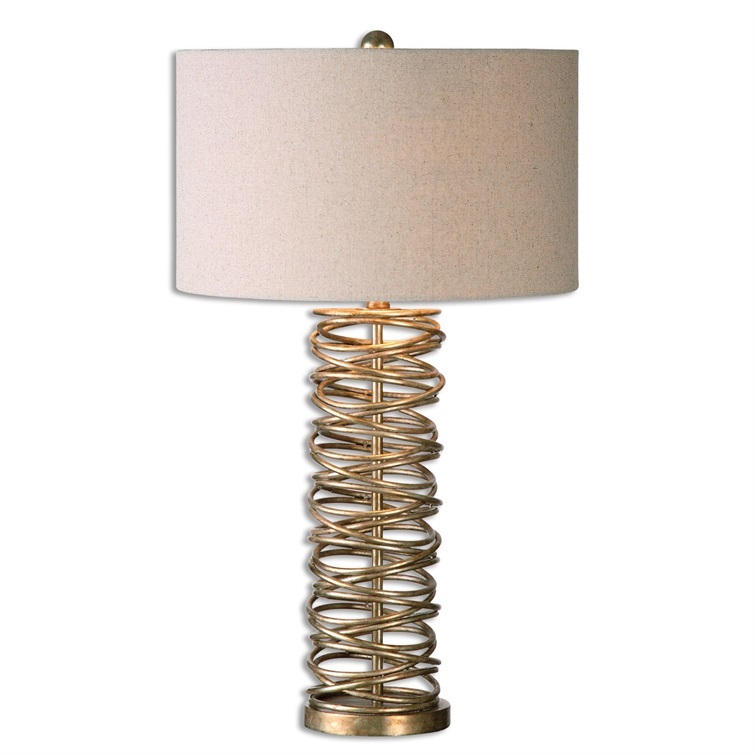 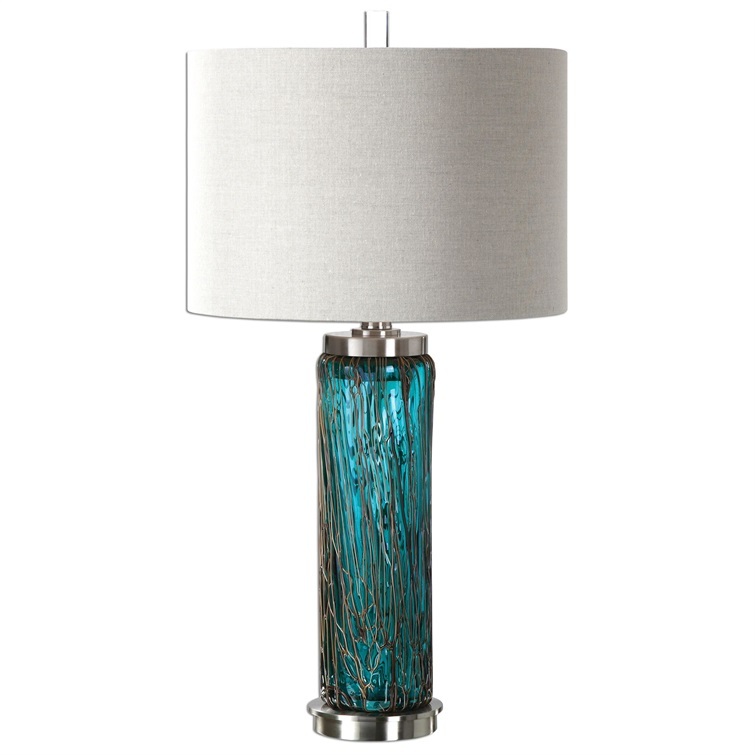 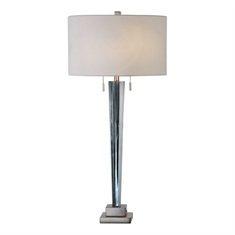 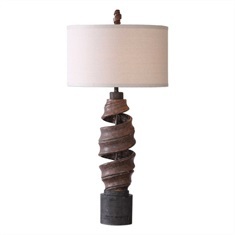 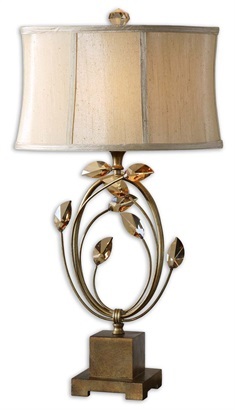 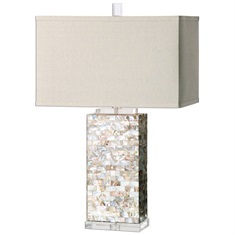 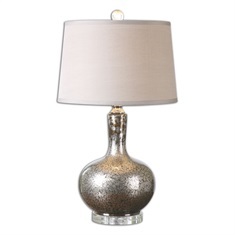 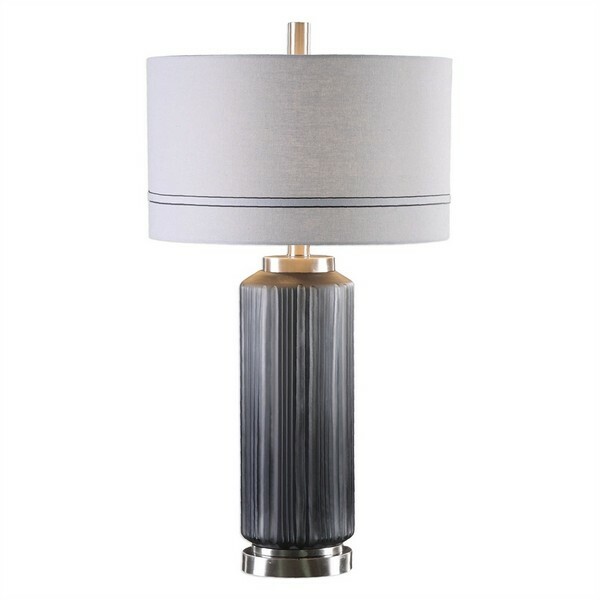 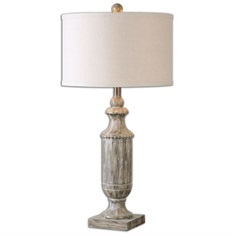 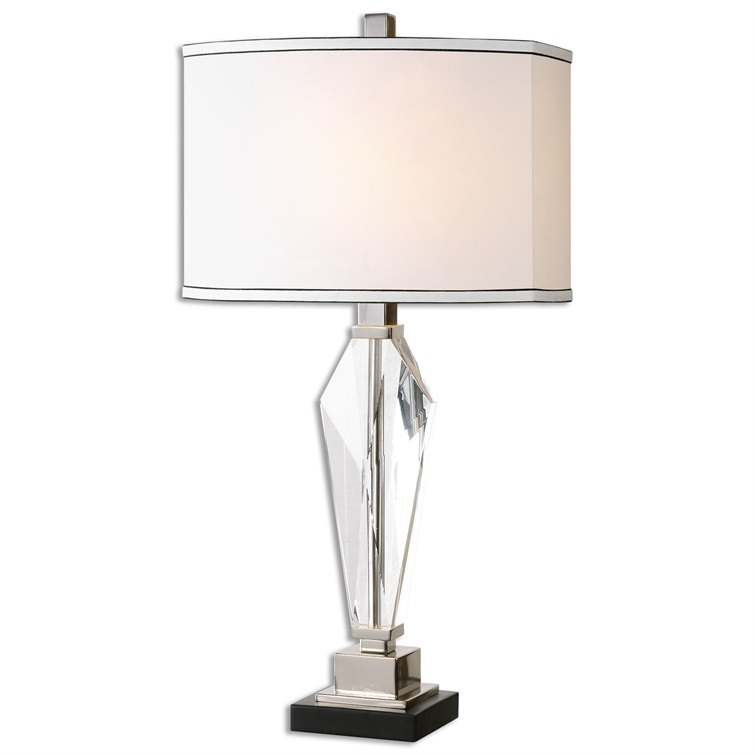 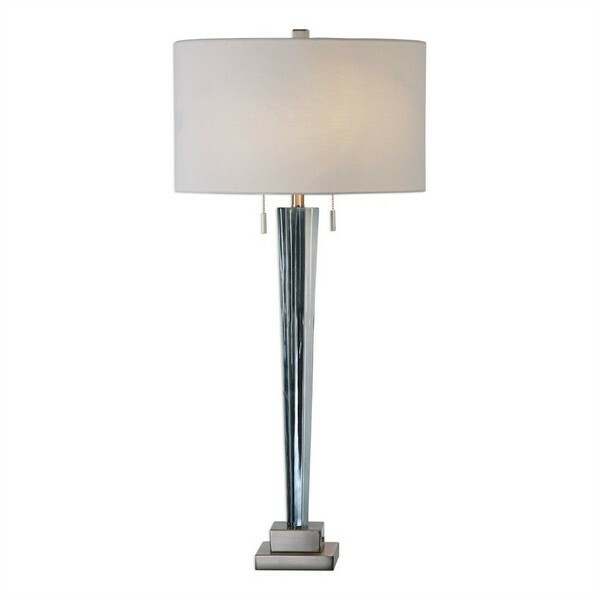 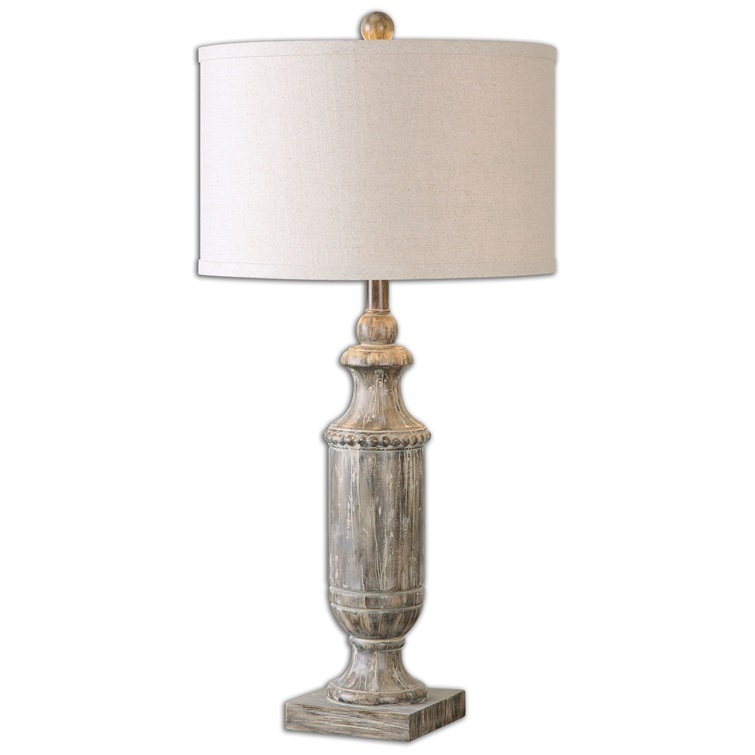 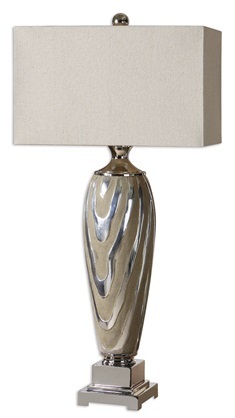 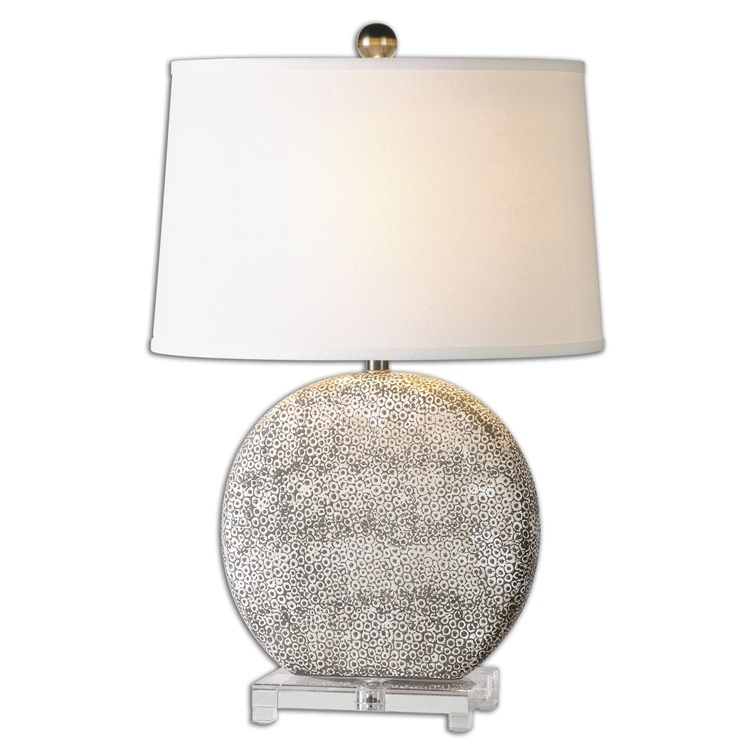 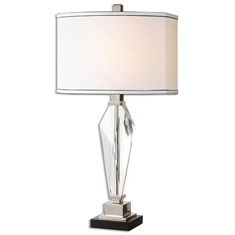 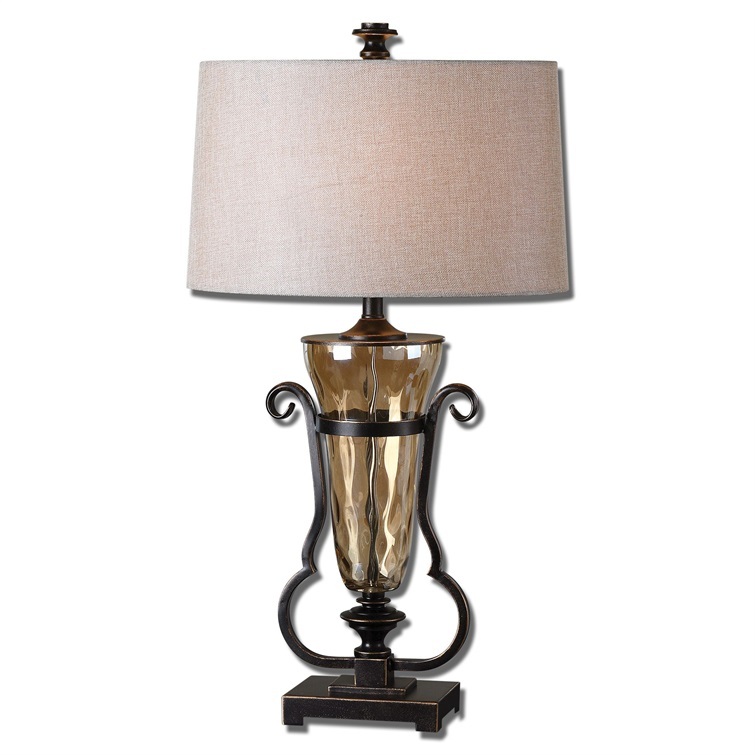 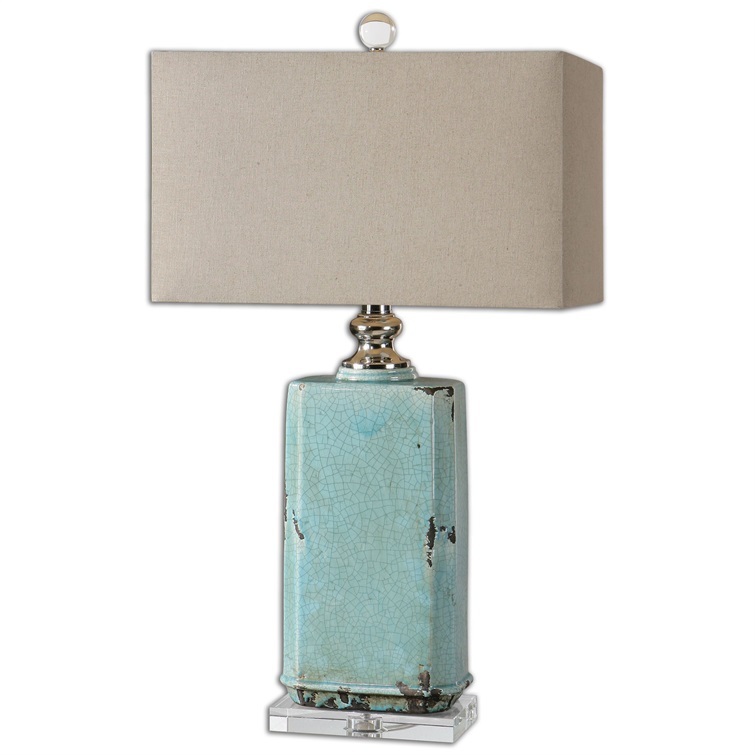 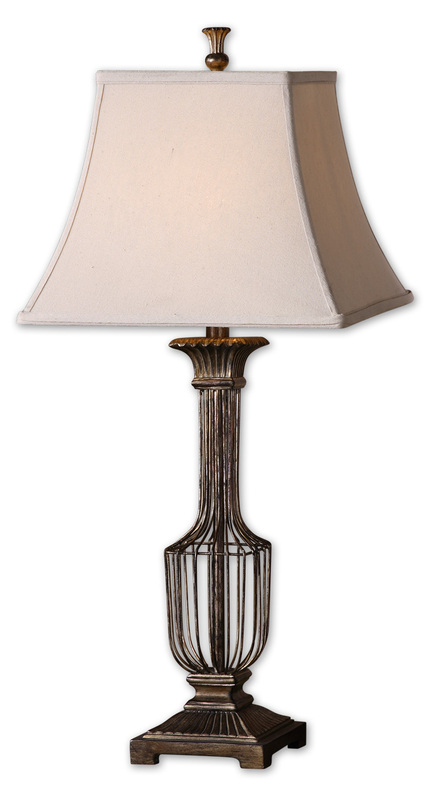 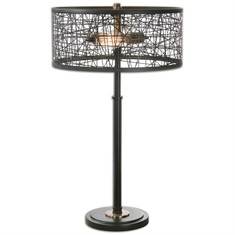 Description Heavily crackled pale blue ceramic base with plated brushed nickel metal details. 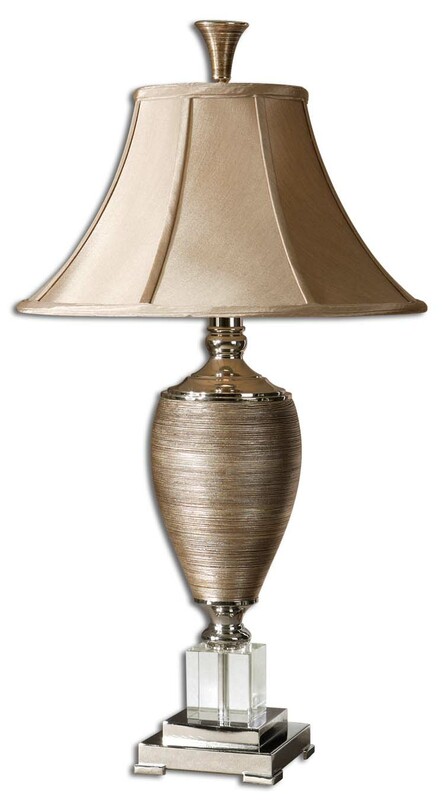 Round hardback shade is light beige fabric. 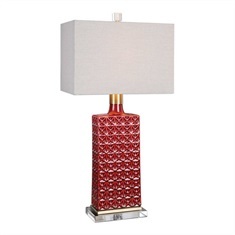 Fire glazed finishes will vary slightly.